While some towing companies claim that they can handle every situation, many can’t handle commercial or very large vehicles. 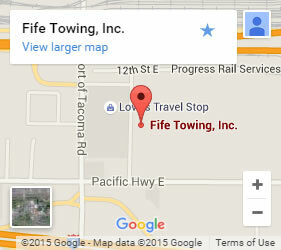 At Fife Service and Towing, our heavy duty towing equipment can handle whatever the roads of Lakewood throw at you, and we’ll get you back on your wheels quickly from any situation. Think your vehicle is too large? Think again! Did your white Christmas suddenly turn blue? Concerned you won’t be able to make it pack for gift unwrappings and sweet holiday desserts? We have workers available every single hour of the year, because we know that accidents don’t happen when it’s convenient. When you call us, we’ll have a truck dispatched to take care of the problem as soon as possible so that you can get back to your life without the worry. It may seem like it’s impossible to recover a submerged car or truck, but our crew of nationally-certified towers can handle the job. Pulling a vehicle out from the water can take a significant amount of work, but our heavy duty tow trucks are built for the job. Each of these trucks has a powerful winch system capable of regaining underwater vehicles and getting them back on the road. 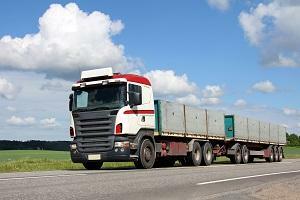 Our crane system can lift out commercial vehicles too, so even if your vehicle is sunk, your hopes don’t have to be. As a family-owned company for nearly 70 years, we’ll take care of you and your vehicle like you’re one of our own. With multi-passenger tow trucks, nobody has to be left out in the cold. Our goal is to make our customers happy so they can keep moving forward. If you need to use our heavy duty towing services, call or contact us today, and be sure to keep a copy of our coupon on-hand to save $5 off of the cost of your next service!